The Raptor range is one of the major success stories for Snowbee! Equally at home on rivers spinning for sea-trout and Salmon, as they are on the shoreline spinning for bass, pollack and mackerel, Raptors have already become the rod of choice for many seasoned anglers. The Midi and Maxi models use our new low-profile guides, which not only provide quick ‘taming’ of coils coming off a fixed spool reel at high speed, but will also stand up to rough handling if you are ‘rock-hopping’ craggy shores. 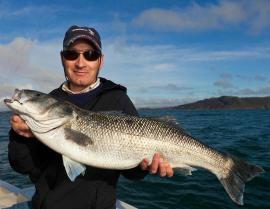 On their first ‘sea trials’ aboard the Snowbee ‘Deep Blue3’ we were joined by Chris Ryan of Sportfish. Using the new prototype Raptor Spinning Rod and Raptor reel, Chris hooked and landed a magnificent 12½ lb bass – likely to be a lifetime personal best! Chris’s comment, when he’d stopped shaking…“The new Raptor Spinning Rod and Reel outfit from Snowbee performed faultlessly in handling what turned out to be a fish of a lifetime". Available in a 6ft 2-8g weight or a 7ft 2ins 4-12g model, the top 30-40cms of the tip is solid carbon to allow amazing flexibility, coupled with superb sensitivity. 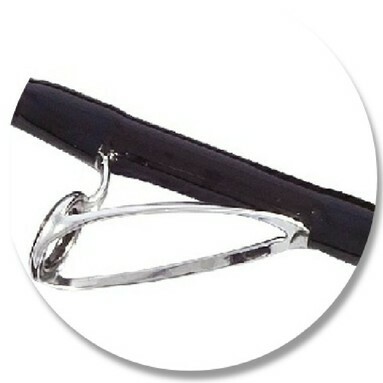 The Micro rods are fitted with ultra light single-leg rings. 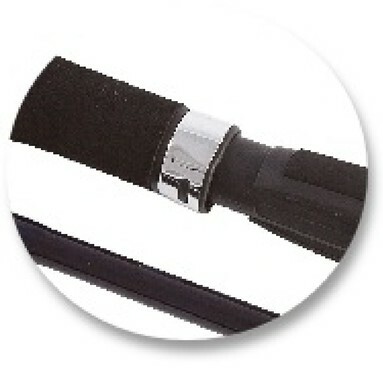 All rods supplied in a quality nylon rod bag, with mesh front to assist drying. 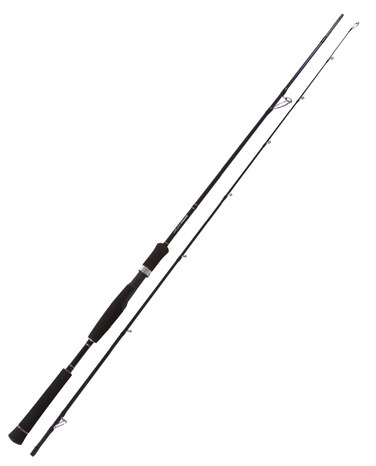 makes an ideal general purpose spinning rod, while the smaller 8ft model, handles an impressive 10-50g lure weight and makes an ideal rod for the travelling angler, packing down to a convenient 27” to fit most anglers’ luggage. 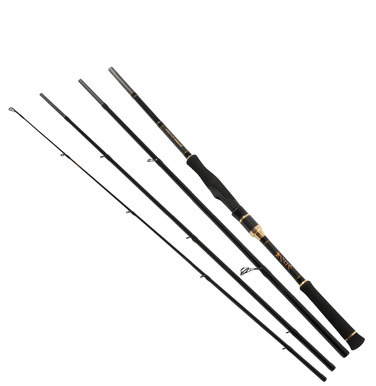 These rods are ideal for heavier soft-bait work, or ‘plugging’ with hard-lures.. 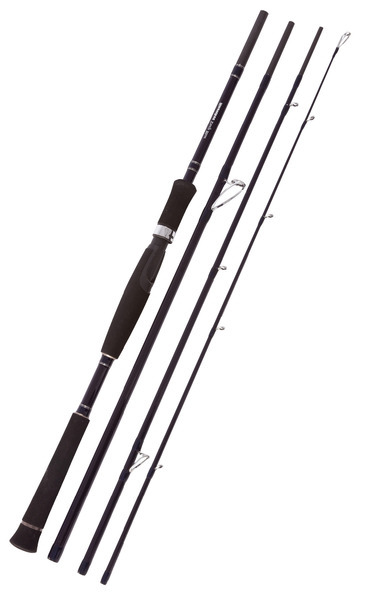 The heavier weight maxi spinning rods make great ‘all rounders’, whether spinning from the boat, shoreline or the river bank..
which creates a ‘funnel’ effect, capturing the coils coming off a fixed spool reel when casting and incredibly, straightening them out completely. The result is then single point contact between the line and the remaining guides, reducing friction so much, that casting distance is increased by as much as 24% with light lures! All models feature high-tech, 4-pce blanks, making transporting rods so much easier, but sacrificing none of the action, through innovative use of different grades of carbon throughout the blank.